ELSS Funds – Equity Linked Saving Schemes are by far one of the best tax saving options available in India. It offers tax free high returns and a very low lock in period, compared to other investment platforms. Being said that, the caveat is the selection of the fund suitable for you, from the umpteen number of options available. Each mutual fund company will try to lure you with biased information about their products, which adds to the confusion. Here I am providing you out of the box information on selecting the best options available in the market. Investing In ELSS (Tax saving Mutual funds) – Things to remember. 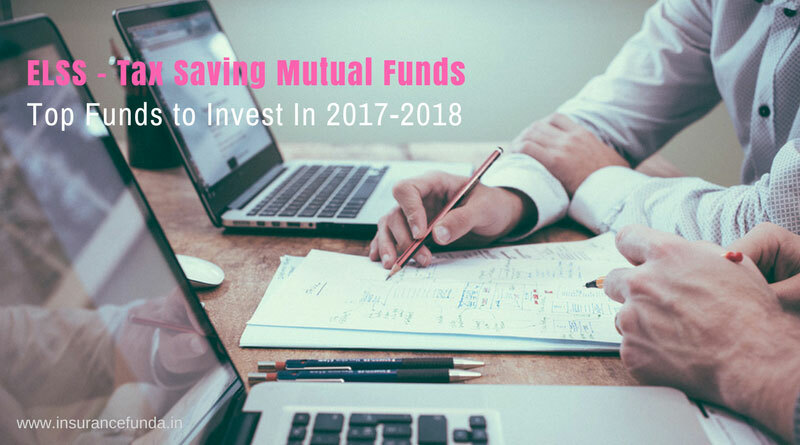 ELSS – Equity Linked Savings Schemes – are specialised mutual funds which have special provisions to save tax under sec 80 C of Income Tax Act. ELSS comes under EEE mode of tax exemption. Which means Exempt – Exempt – Exempt mode. To make it more clear, There will be income tax rebates for the premium paid and there will not be any tax on either the earnings or on the returns from the fund. If the fund is having dividend option, the dividends earned will also not attract any tax. The Lock in period of ELSS funds are just 3 years. This does not mean that you can withdraw the entire amount after 3 years, in case of SIP mode of investment. As each and every SIP investment is considered as a fresh investment, 3 year lock in period will be applicable for every single monthly investment. You can invest an amount as low as Rs 500 in a month and there is no higher limit for investment. Maximum sec 80 C rebate available as of now for an individual is Rs 1.5 Lakh per year and hence income tax exemption will be available only up to that limit even if you invest more. Each fund follows different portfolios and investment strategies depending on the fund and fund managers and as a result risk pattern and returns earned can vary widely between funds. So choose your funds wisely. First level screening among all the ELSS funds available in India was done to short list fourteen good funds. Two criteria I used were three year and five year annualised returns in comparison with the category average returns of ELSS funds. All the funds which performed better than the category average returns in both conditions (simultaneously) were selected. Please note: In order to avoid duplication of data, I have selected only growth option of the respective funds. The fourteen funds thus selected were sorted on the basis of the Assets Under Management in the descending order. This helped me to get a preliminary list of top performing funds ranked in the order of the volume of funds they manage. Now from the above table, I excluded the funds above the rank ten, for the simple reason that larger funds are more likely to be of lower risk. Thus a solid list of 10 high performing funds with sizeable Assets Under Management (AUM) were ready for further analysis. The selected funds were subjected to Risk-Return Analysis in the next step. For that I selected following factors of the selected funds. 3 year volatility of the fund : Volatility of the mutual fund is an important factor as far as the risk – return analysis is concerned. Volatility is the extend to which a fund’s Net Asset Value(NAV) typically fluctuates. With all else being equal, a highly volatile fund has more risk than one with low volatility. Expense ratio of the fund : Expense ratio is the measure of what it costs an investment company to operate a mutual fund. It is always desirable to invest in companies with lower expense ratio. Keep in mind that even a small difference in expense ratio can cost you a lot of money in the long run. The tenure of the fund manager : A long-term fund management record, preferably five to ten years is a key factor of fund manager’s investing abilities. My objective is to select the best five funds from the above list of 10 funds. The funds having rank 9 and 10 (Sundaram Tax Saver Fund and Reliance Tax Saver (ELSS) Fund) can naturally be eliminated as the volatility is extremely high and the chance for loosing money is higher. Birla Sun Life Tax Plan – which is at the 4 th position is having an expense ratio of 2.67 % which is extremely high compared to other funds and hence can be dropped down from the list. All other four funds in the top five are strong contenders and hence I like to retain them in the top five list. So we have just one slot left in the top five which has to be filled. I promoted DSP BlackRock Tax Saver Fund to that slot considering the assets under management (26325 Million). Thus we have arrived at the: Top Five -ELSS – tax saving – mutual funds which are as follows. If we want to dig deep further and find out the best ones out of these five toppers, we will have to be more technical. One of the best methods to be smart with mutual funds is to follow the Modern Portfolio Theory. In Modern Portfolio theory we get the help of certain parameters like Alpha, Beta, R-Squared, Standard deviation and Sharpe Ratio of the funds. Let us analyse our top five funds using these parameters to find out the best out of these funds. Alpha Ratio of Mutual Funds. Alpha measures the difference between a fund’s actual returns and its expected performance. The +ve value of Alpha indicates that the fund has performed better than its Beta would predict. So higher alpha values are always desirable for any fund. The info-graphics given below shows that the highest alpha value is for Birla Sunlife Tax relief 96 growth fund. and the least is for L&T Tax advantage fund. Standard Deviation of Mutual Funds. Standard deviation shows the volatility of fund returns in relation to its average. It tells you how much a funds return can deviate from the historical mean return of the scheme. For example if the fund has 12 % average rate of return and a standard deviation of 4%, it’s return can range from 8 – 16 %. In our case DSP Black rock Tax Saver Fund showed lowest standard deviation and the performance of Birla Sunlife Tax Relief Fund is also more or less equally good. Sharpe Ratio is known as reward- to- variability ratio and is named after William Forsyth Sharpe who coined this ratio. Sharpe Ratio = (Total Return- Risk Free Rate)/Standard deviation. The greater the portfolio’s Sharpe Ratio, better is risk adjusted performance. From an investors point of view the ratio describes how well the return of an investment, compensates the investor, for the risk he takes. Investors are advised to pick investments with higher Sharpe Ratio. Finding the best scheme out of these five stalwarts is not that easy as each of them have some plus points in their credit. But in my opinion, Birla Sun Life Tax Relief 96 is the strongest contender for the top slot. It does not mean that others are way behind. You can check all the important data about the top and best ELSS funds in the below table. I think I have given you a fair idea on the top ELSS funds. But I would like to remind you few things. All these analysis are based on past performances of the funds. And you should remember that past performances need not be repeated in the future. Unexpected things can happen in the share market and always be watchful on the market trends. Before starting your investment, create a written list of objectives of investment. Be patient on share market fluctuations. Please feel free to share this article using sharing buttons given below. If you have any queries or need any clarifications please use the comment box given below.